I don’t feel like I am a particularly rigid person, but I have noticed since moving to Australia that I have still ‘stuck’ with my favourite suppliers for yarn and for buttons from England. And that’s not to say that there are not amazing yarn companies and shops as well as button suppliers, including this wonderful gem: All Buttons Great and Small in Newtown, here in Australia. Nonetheless, I love my yarn from DROPS and I love that I am still able to buy my yarn at Woolwarehouse and they ship it to me in Australia for a very reasonable £9.98. Equally, I will always love the buttons from TextileGarden. The buttons from TextileGarden are simply divine. First of all they are not plastic, but shell, coconut shell, horn, ceramic, wood, metal, etc. I am always able to find the right button for the pieces I am knitting. I believe that if I am spending the time knitting something it needs to have the right button to match it! Here’s just a tiny selection of the buttons that I’ve been able to use from TextileGarden. If you follow me on Instagram you will have seen my youngest in this adorable Summer romper. 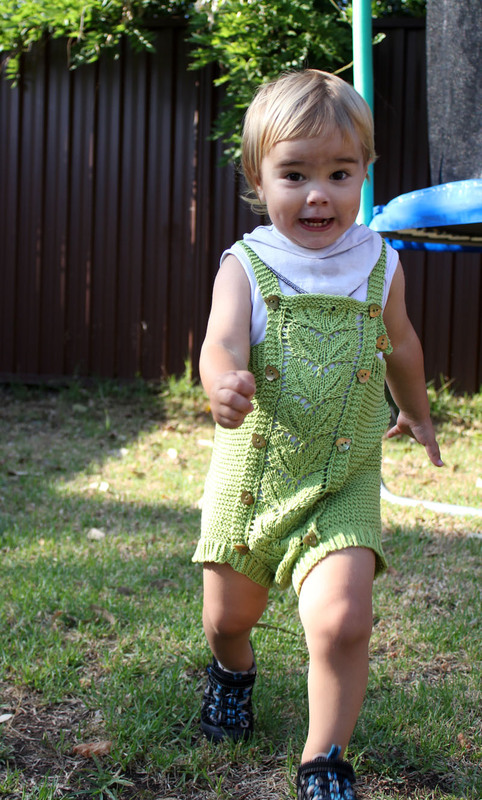 When I asked him this week if he wanted to wear a little cotton romper I knitted for him (in size 3 years) and he excitedly said yes, I was very pleased. Then I realised that I hadn’t even blogged about it here. It was one of the last pieces I knitted in England, before we made our big move to Australia last August. I used cotton yarn, specifically DROPS Muskat, which is a lovely mercerised cotton. It has a wonderful sheen on it, and this ‘apple green’ is such a wonderfully bright colour. The suit itself is a Tiddelibom pattern, originally written in Norwegian, some of their patterns are translated into English, including this one. It’s a very well presented and written pattern, with a lot of detail and I was able to knit this romper in a couple of days (even in between packing up). 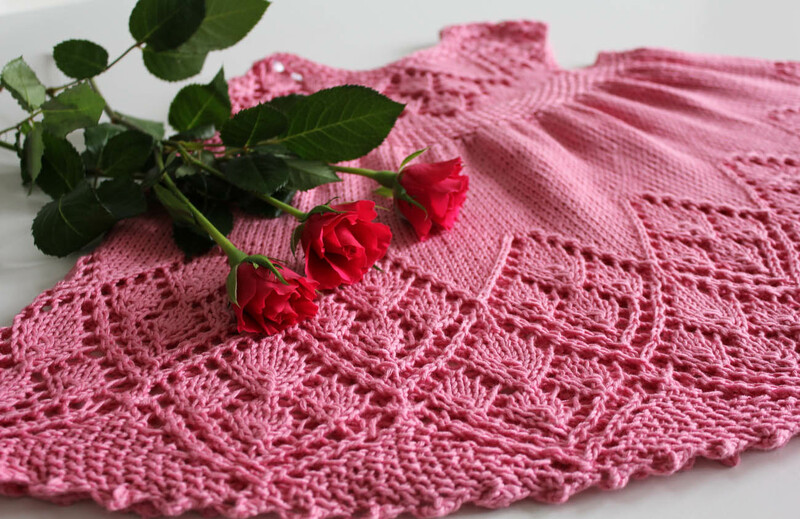 The beautiful leaf pattern in the middle runs the entire front and back of the romper and is just such a joy to knit and absolutely beautiful to look at. I was fortunate to have some leaf buttons in my stash, which I was able to add on the front (even though they are only for decoration) and four extra ones to close the romper, even allowing for growth. But my youngest is such a big boy, he will be three in March, but has already been wearing clothes for a four year old for about six months. So I knew that we needed to make the most of wearing it. So without further ado, here’s Max wearing it. Pattern: Olavas Summer Suit by Tiddelibom. Yarn: DROPS Muskat in apple green. Knitting time: 25th-28th July 2016.